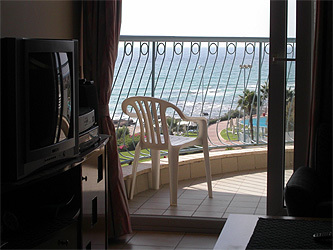 Sea Village - KFAR HAYAM ~ A beautiful suite observing the yellow beach, pleasant & enjoyable. spacious with a good size living room. The bedroom over looking the Benjamin Bay fulfilling the sea fragrance. Extraordinary Suite ~ Loreal Suit has the best location you can get at the dreamy Sea Village...located at the corner of the building observing at the wide open Mediterranean Sea. Close your eyes and imaging your perfect home ~ Now open your eyes and see... this is not a dream, this amazingly suite can be yours... only at Aloha Sea Village. Very Special ~ Studio apartment at the Sea-Village located at the top floor... design by the best prestige elements.